Put an end to generic holiday cards! Shake up your holiday season with handmade Christmas cards! Join me for an evening out creating handmade Christmas shaker cards. Supplies are included in the class fee, and each class attendee will get to make 18 cards. If this date doesn't work, no worries! Let me know what days are available on your calendar, and we can book a class with your friends and family on a day that works for you. 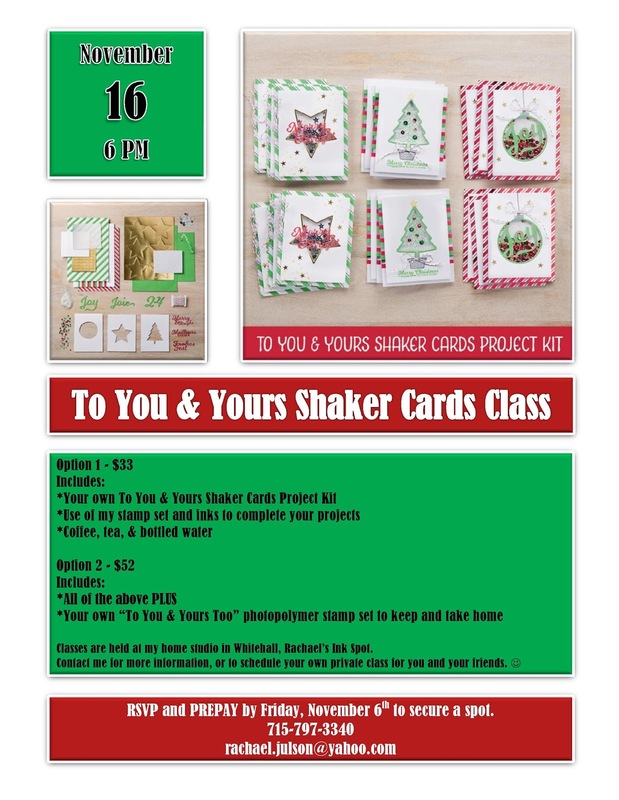 Contact me today to book your own shaker card class.